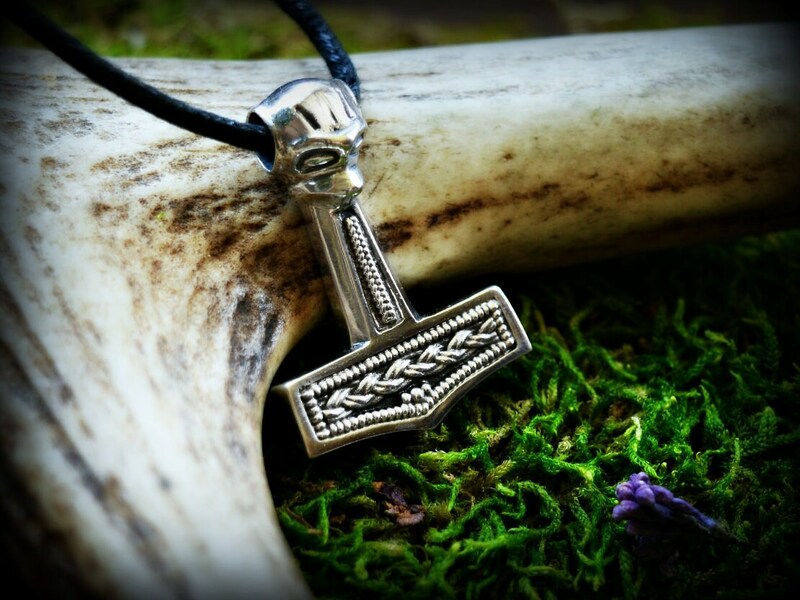 Beautiful Viking raven-headed Mjollnir pendant - replica of find from Mandemark in Denmark. Amazingly detailed, high quality, solid pendant with filigree decoration. A small piece of Viking art, perfect for Viking reenactment events or for everyday wear. In Viking culture Thor's hammers pendants were worn both by men and women as symbol of power and fertility, or for protection.